The below extensive IQ Air Purifier Comparison Chart clearly shows why Swiss-made IQAir HealthPro Plus continues to be the best of the best rated and reviewed air cleaner in the world. My top advise when chosing an IQ Air cleaner is to make sure it will efficiently remove not only solid ultra-fine particles via superior HEPA filtration, but also that it will efficiently filter out gases and odors from indoor air. 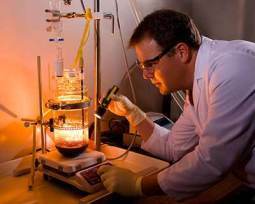 Filtration of gaseous contaminants is very important because these tiny airborne toxins travel deep into the lungs, and often into our blood stream. 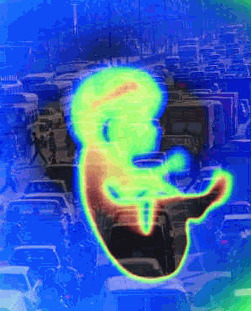 Thus they in particular can cause much of the health damage associated with indoor air pollution. Unfortunately, our modern air-tight homes accumulate these dangerous gases called Volatile Organic Compounds (VOCs) that are continuously off-gassed from petrochemical-based products our homes are constructed of and are filled with. Anyone with Asthma, Allergies, Multiple Chemical Sensitivities, or any type of respiratory disease should be particularly concerned about the levels of chemical gases, such as Formaldehyde, accumulating in indoor air. But removal of these chemical gases and odors requires special filtration technology not present in most purifiers. The below reviews, ratings, and comparisons emphasize which models of IQ Air purifier do and don't include gas and odor removal. Those without are rated lower. All the below models are unmatched for filtering the smallest of solid particles out of indoor air, but only the HealthPro Plus has the superior V5-Cell Odor and Gas filters included. So all things considered due to superior odor, gas, and particle filtration it is the best-rated performer and my top pick out of all four IQ Air purifier reviews in the HealthPro series. These IQ Air Cleaners are from the enhanced "New Edition" line which now have: 38% longer filter life, 25% more clean air delivery, & are 32% more quiet than before. IQAir's best just got better. Overall IQ Air Purifier Review Summary (areas in red are weaknesses). For the Best Home Air Purifiers, look for those that efficiently filter BOTH Gases AND Particles. Weight w/ filters (pounds) 35 lb. 29 lb. 27 lb. 26 lb. HyperHEPA Filter Life (approx.) Excellent 2-4 years @ avg usage of 10hr/day on fan speed 3, filter life varies depending on air quality environment where IQAir Purifier is used. Control Panel Advanced LCD display, 4-key touch-pad, 16 character 2-line, English/German/Spanish/French user selectable language display option. Filter Life Indicator Intelligently monitors actual use of each filter stage (taking into account fan speeds and actual run time) w/ 3 filter life status LED indicators. 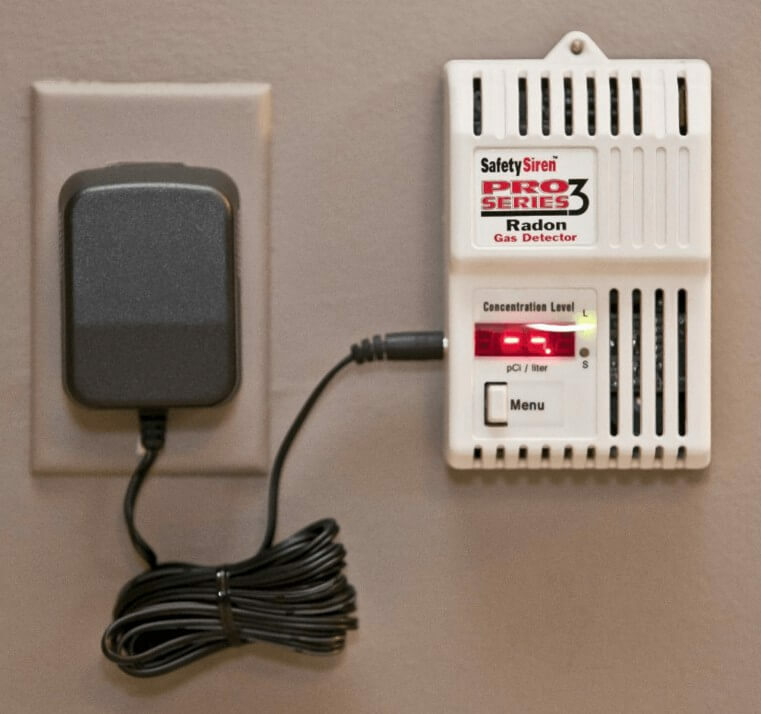 Timer Programmable advanced timer with day & hour operation settings, LED indicator. Fan / Motor 6 speeds (programmable to 2 time periods), Centrifugal, Backward Curved Fan, Motor CSA rated for Continuous Operation, Thermal Protector, 780cfm @ 2750 RPM. Air Intake / Output Air enters through dual arches at base of purifiers and exits at top via a 320 degree "EvenFlowTM" diffuser which reduces air velocity & turbulence, thus reducing noise. Material Safety / Durability Superior IQ Air Purifier Housing is Non-offgasing, UV-stabilized ABS, Impact Resistant plastic. Filter Separators are also Non-offgasing. Accessories Included: Power cord and plug included, Certificate of Performance included, Remote Control w/ batteries included, Casters included. 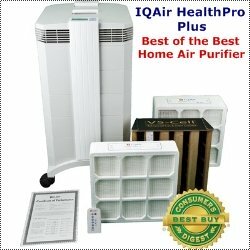 With an overall rating of 97% out of 100%, the IQAir HealthPro Plus Air Cleaner is my top pick for the best home air purifier in the world for anyone with allergies, asthma, COPD, lung disease, Emphysema, MCS, Immuno-deficiency disease, and most other illnesses. It is independently certified to purify home air to the same degree as is found in many multi-million dollar clean rooms. The Health Pro Plus IQ Air purifier is so efficient the Chinese government found it to be by far the most effective out of all models tested for controlling SARS disease from spreading in hospital settings after the last major outbreak. With a total system efficiency of 99.5% capture of even the tiniest particles known in indoor air (at 0.003 microns), that means this IQ Air purifier can even clean air of ultra-tiny viruses and other difficult to capture nano-particles. Though the price is above average, the HealthPro Plus is worth every single penny if you consider certified near perfect air purification important to you or your family's health. Those with Multiple Chemical Sensitivities (MCS) know the value of an IQ Air purifier because they are the canaries in the coal mine for indoor air pollution. Pure air truly is a must for sufferers of MCS. IQ Air's HealthPro Plus is the top-rated MCS air purifier available because it can filter our nearly 100% of the gaseous and particle indoor air pollutants that those diagnosed with MCS suffer from the most. And when you consider life-time costs savings from extra long filter life, a 5-year warranty, high quality materials and design, and energy efficiency - IQ Air has a superior cost to performance ratio when compared to any other air cleaner on the market today. In other words, despite the high initial price point, an IQ Air purifier is actually a better value overall due to superior quality and effectiveness, as compared to most cheaper models of lesser price, lesser efficiency, lower design quality, inferior warranty, and higher life-time replacement filter costs. In the above IQ Air Purifier review, HealthPro Plus satisfies my main requirement for efficiently removing both solids and gases from indoor air. This is very important considering most homes are full of many toxic Volatile Organic Compounds in the very difficult to capture ultra-small gaseous form. Room contents and parts of your home structure continuously off-gas these dangerous chemicals into your air. It takes the special advanced gas-phase filtration media that comes standard with the HealthPro Plus to grab and hold these molecules as air is cycled through the unit by the powerful and highly advanced fan and motor. The V5-Cell Gas/Odor filter being included with the Health Pro Plus model is a major feature not found in the other three lower rated models in the above comparison chart. The regular HealthPro (without the "Plus") seen in the third column above does have the option to upgrade to the ultimate in gas filtration with the V5-Cell filter add-on. But the better value is to get it already included with the Plus model (second column). Also, notice the HealthPro Compact Plus in the forth column above which includes some odor/gas filtration via the 2 pounds of carbon in the special pre-filter. Though better than no gas/odor filtration at all, this model is still inferior to the large capacity of the V5-Cell's 5 pounds of activated carbon and potassium permanganate impregnated alumina that comes with the HealthPro Plus model. 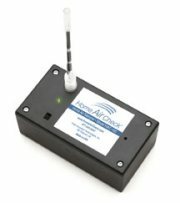 Most non-IQAir air cleaners don't even come close to removing any of the most damaging solid particles in the sub 0.3 micron size. And most certainly don't have the advanced technology needed to capture gases and odors. Unfortunately, these hard to filter tiniest of particles also represent the majority of indoor air pollution and they are often the most damaging to our health. This is why buying the best of breed air cleaners is so important. Otherwise, you are wasting your money on little more than a dust collector that will do next to nothing for improving your indoor air quality. It's usually what you can NOT see in your air that harms you. Most HEPA room air cleaners' overall performance does not even match the performance of even IQAir's Pre-Filters which is just the first-stage filter meant to remove courser particles and keep the other more advanced HEPA and Gas filters from becoming clogged (extends filter life). However, each of IQ Air's HealthPro Plus purifiers is tested and certified to remove nearly 100% of most household pollutants. This is amazing performance 100 times better than the HEPA filter standard and this is unmatched by any other manufacturer in the industry. The HEPA Class H12/H13 certification is like having industrial clean-room quality air purification for your home. And just when I thought IQAir could not get any better, they have really pushed the envelop with their "New Edition" release. The powerful maintenance free fan and motor alone is a perfect example of this advanced aerodynamic engineering and focus on details and efficiency. This is no Oreck air cleaner, that's for sure. As noted in the above IQ Air Purifier Review, the amount of clean air delivered is now 25% greater, filter life is now 38% longer, and advanced engineering has reduced sound output by 32%. These are significant improvements on already top-rated models. This well-run Swiss company clearly keeps striving for perfection and they have nearly achieved it with their innovative IQAir HealthPro Plus air purifiers. So if you had been wondering what the Rolls Royce of air purifiers was, I hope you found this IQ Air Purifier comparison chart, ratings, and review helpful because the Health Pro Plus is the industry leader by far. My top rated pick for Asthma, CODP, Allergies, MCS, and respiratory illnesses. Filters nearly 100% of common household pollutants such as chemical gases, odors, ultra-fine solids, and biological contaminants. The world's best HEPA home air purifier. 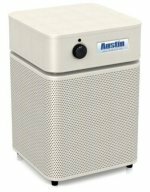 Cleans air of the smallest known household particle pollutants down to 0.003 microns, delivering air purities on par with many high tech clean rooms. Excellent overall value for ultra-fine particle removal from smaller homes. Excellent room air coverage and more affordable price too. See more diagrams and features of our top-rated pick - the highly advanced and World's best IQAir HealthPro Plus Air Purifier. See my full IQ Air Purifier Review of HealthPro and learn about some of the engineering secrets IQAir uses to keep innovating their way above the competition. 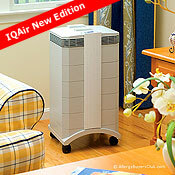 Get an excellent bonus value and see my second best rated choice in the IQAir HealthPro Compact Air Purifier Review. With the lowest price point in the HealthPro series, the IQAir HealthPro Compact Air Cleaner provides clean-room quality particle filtration in a more compact design.